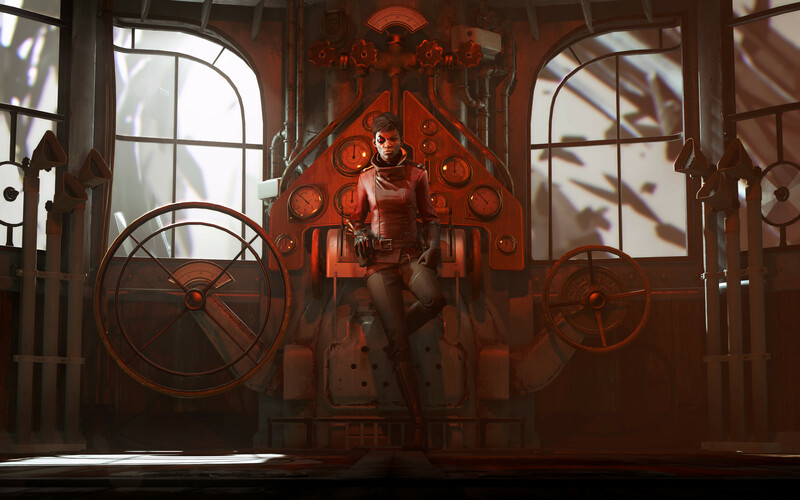 Dishonored: Death of the Outsider marks as the third installment to the Dishonored series. Within the video game, players take on the role of a former-assassin Billie Lurk. Meeting with her mentor, Billie Lurk decides to help in the grand quest of finding the Outsider and taking their foe down after it was discovered that the Outsider is a supernatural being who can bestow magical powers. In this particular guide, we’ll showcase where to find all the paintings within the five missions of Dishonored: Death of the Outsider. Painting #1: The only painting within One Last Fight is within the Albarca Baths fight club. This will be hanging by the scoreboard. You can obtain the painting by getting into the boxing ring and then jumping up towards the painting. Painting #1: You can find the first painting within the second floor of Cienfuegos Pharmacy. To get into the second floor, outside of the pharmacy, climb through the open window above the awning. Painting #2: Located within the third floor storage room of Shan Yun’s house. You’ll need to get a Dumbwaiter Room Key from a servant within the home and use the Dumbwaiter up to the third floor. Painting #3: You’ll find the last painting within Follow The Ink at Shan Yun’s bedroom. It’s also located on the third floor, but Shan Yun will also be in the room. Painting #1: Make your way down to the river area, which can be accessed by using Displace to reach areas past the gate and fencing behind the Red Camellia building. Make your way onto the boat followed by diving under it to retrieve a key from a deceased body. Go back onto the boat and use the key to unlock the storage area where you’ll find our first painting. Painting #2: This painting will be within the auction area but you will need to interact with the pharmacist for information at the start of the mission. From there, follow your markers and read the Justice for Cienfuegos paper and then talk to the pharmacist’s daughter which will then allow you access to the auction which the painting will be on the stage area. Painting #3: Located in the bank. You’ll want to gain access to the control center to open up all the gated off areas. Now head back to the third floor and into the balcony area which will have the third painting hanging on a wall. Painting #4: The last painting is also located in the bank where you first met the clock workers. Make note that the floor is electrified so displace can be used to maneuver around a bit easier. Our painting will be hanging to the right of the entrance.